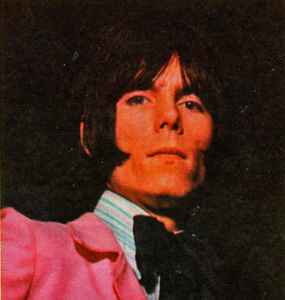 Andy Bown (born 27 March 1946, The City, London, England, UK) is an English musician, who has specialized in keyboards and bass guitar. He is currently a member of the rock band Status Quo. Bown's first major band was The Herd, along with Peter Frampton. After The Herd dissolved he spend two years with Judas Jump who were the opening act of the Isle Of Wight Festival 1970. He played [keyboards at first] for Frampton in the 1970s then switching to bass briefly when Rick Wills departed the Peter Frampton band in early 1975. Bown himself left the Frampton entourage less than a year later, just as Frampton was on the verge of becoming a world-wide Rock sensation. He went back to England where he first dabbled with a solo career, then resumed work with Status Quo whom he started playing keyboards for in 1973 as a session musician, first appearing on their Hello! album in that year. He joined Status Quo as a full member in 1976, and has been with them ever since.